When we have a missing tooth or teeth, dentist would always recommend denture, implant or dental bridges to replace the missing tooth or teeth. The cheapest way would be denture followed by dental bridges. Placing an implant would be the most expensive method but has the longest longevity claimed. Denture would cost $500 t0 $1500 per arch. Cost of each implant would range from $1,200 to $3,000. Dental bridges would cost in between denture and implant. Full arch implant replacement (you lost all your teeth) would cost between $30,000 and $50,000. Denture would fit well within 3 to 5 years depending on its property and the biting force. A metal incorporated denture would last up to 10 to 15 years. Sometimes, normal denture can last up to 15 years if it is relined continuously when it does not fit anymore. Implant is claimed to last for 25 years if it is well cleaned and taken care of. Smokers and people with severe gum problems usually have problems with implant stability, thus, they are not good candidates for implant. Without teeth, bone will resorb with time. 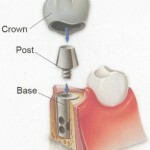 Implant acts as an artificial root of teeth thus maintaining bone level. Denture wearers have problematic gum pain because denture plate often rubs on gums when bone shrinks. With on going bone resorption nerve supply gets nearer to the gum surfaces thus denture pressure would cause pain. Having a denture is just taking impression of your jaw and teeth, measuring your bite, trying the denture with teeth in wax and issuing the denture eventually. Multiple reviews are required to adjust the denture to its most compatible form with your jaw. Placing an implant involves surgical procedures where incision is made, gum flap is raised, drilling of jaw bone, placing implant and suturing. Sometimes, bone grafts would be placed for cases with insufficient bone. In most of the cases, you have to wait for 3 to 6 months to allow the implant to bind well with your jaw bone before a crown or dental bridges are cemented on it. 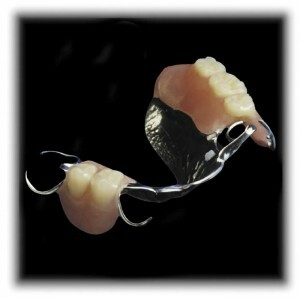 Denture is more predictable as it is not complicated to fabricate. Unsuitable denture could be redone easily by relining its base or retake another dental impression to remake the whole thing. Implant has to rely on its ossteointegration (binding to bone) with jaw bone to achieve its initial stability before we even talk about restoring a crown on top of it. However a failed implant could always be replaced if the patient does not mind another surgical experience. Denture requires routine cleaning and gentle handling to prevent breakage. Denture cleaner and adhesive are sometimes inevitable besides the normal cleansing with soap and water emersion. Patient with implant just has to apply stringent oral hygiene instruction to ensure its longevity. Some dentures are covered but as far as I know implant is usually not covered in any insurance scheme. There are numbers of pros and cons with dentures and implants. Choose wisely according to your preference and budget. Most importantly, you must understand how they are maintained. This entry was posted in Denture Cares and tagged Dental implant, Denture Cares, gum pain, implant, missing tooth on September 7, 2009 by Dr Erica Tan.